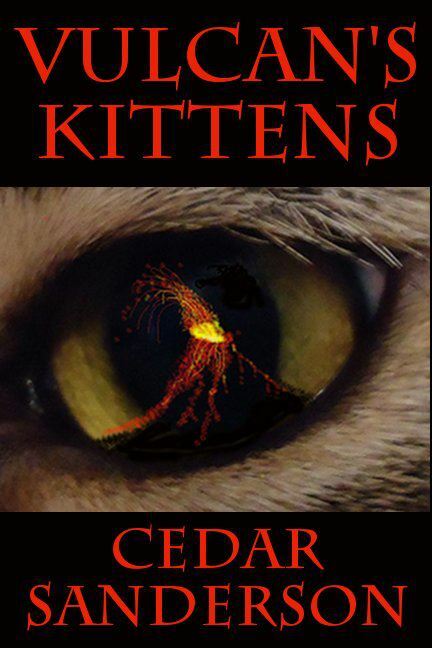 Cedar Sanderson’s debut novel, a young adult fantasy full of mythological beings, adventure, a very unusual teen girl, and kittens. Want to read more? I have excerpts on the blog. For the story of how I came to write Vulcan’s Kittens, look here. To buy Vulcan’s Kittens you can order it at your local bookstore, on Amazon, Barnes & Nobles, and of course from me for a signed copy. You can also contact me directly at cedarlila@gmail.com for a signed bookplate. If you follow the blog I will post in-person appearances. I enjoyed reading this. As an author who also writes books about kitties (my favourite animal!!) among other things, I totally get it. You’re lucky to be a children’s librarian and be able to communicate with the very people you write for. As a kid, I always had my nose stuck in a book too – it’s a wonderful place to be :))) Good luck with your book.